The Mt Magnet gold project is located 600km north of Perth in the Murchison Goldfield of the Western Australian Yilgarn Craton. 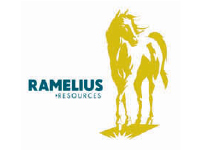 Ramelius restarted the Mt Magnet Gold Mine in 2011, after acquiring it from Harmony Gold (Australia) Pty Ltd in July 2010. The Mount Magnet project (Mt Magnet Gold Pty Ltd) consists of numerous open pit and underground mines plus exploration targets situated on established mining and prospecting leases. The total project area covers 225km².